The St. Ignatius Parish Backpack Ministry is a direct community response to the call of God to feed the hungry, right here in our parish. 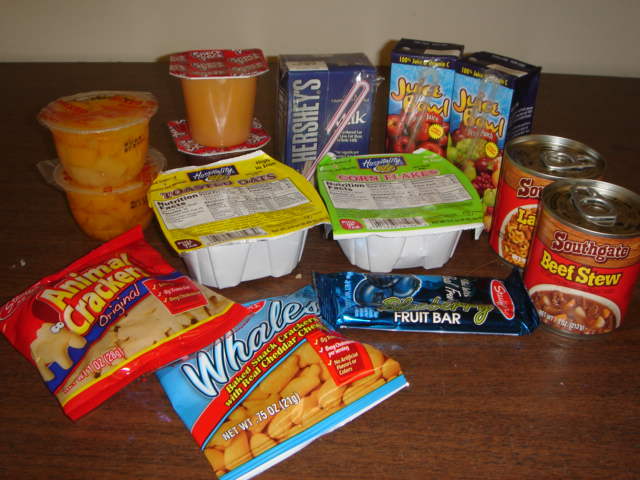 St. Ignatius Parish has partnered with E. R. Dickson Elementary School to provide food for children in need, and their families, every weekend that school is in session. Currently we serve around 45 families of four, weekly. This effort involves over 85 active volunteers stocking the pantry and meeting to pack and deliver backpacks every week. Food and monetary donations are collected once a month from parishioners at Sunday Mass as well as from the schoolchildren at St. Ignatius Catholic School. Suggestions: Grits, Oatmeal, Breakfast Bars, Canned Tuna or Chicken, Mac & Cheese, Fruit Snacks, Pudding, Cookies, Beef Stew, Chicken Dumplings, Spaghetti Sauce, Noodles, and Vegetables. Drop food the basket in the church, or bring it by the Rectory Office. 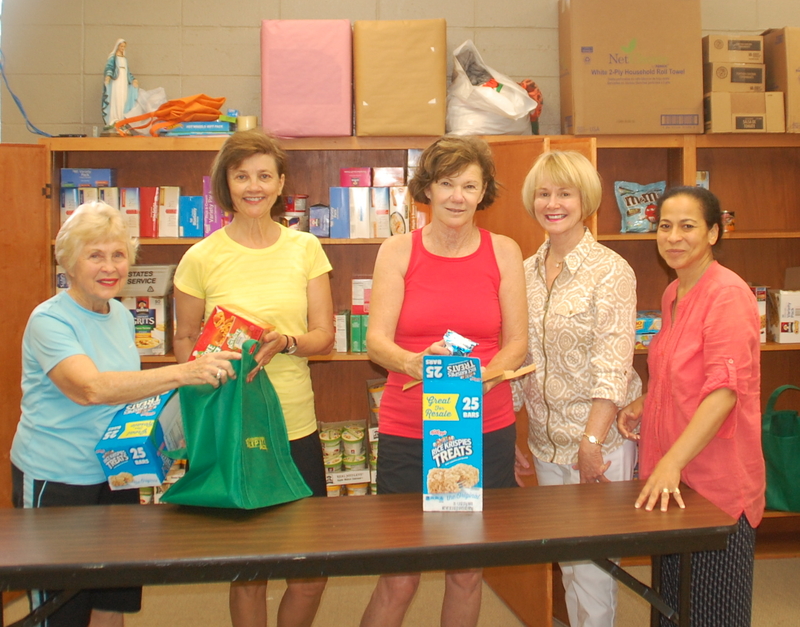 Many parishioners are actively involved in packing backpacks once a month on different days and times during the week, or stocking the pantry on Monday mornings after the food collections from the weekends. Please call LaVeral Graf at 251-343-3062, if you would like to join one of these groups. 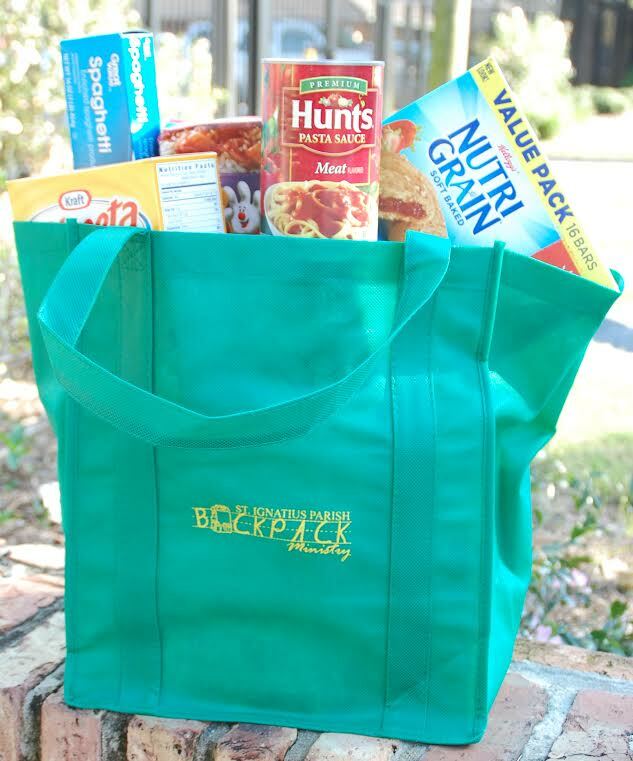 We will gladly accept monetary donations to purchase food for the backpacks. 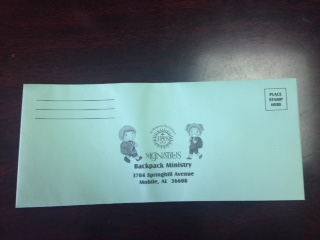 You can use the handy "green" envelopes, or simply mail a check to: St. Ignatius Parish, 3704 Spring Hill Ave., Mobile, AL 36608. Please note "Backpack Ministry" on your check.